The next level of "Paperless Office"
HawkSoft may be the only insurance agency management system to create a truly virtual document management workflow. You no longer need to handle printed documents or save and search for documents from the web to import into the client file. 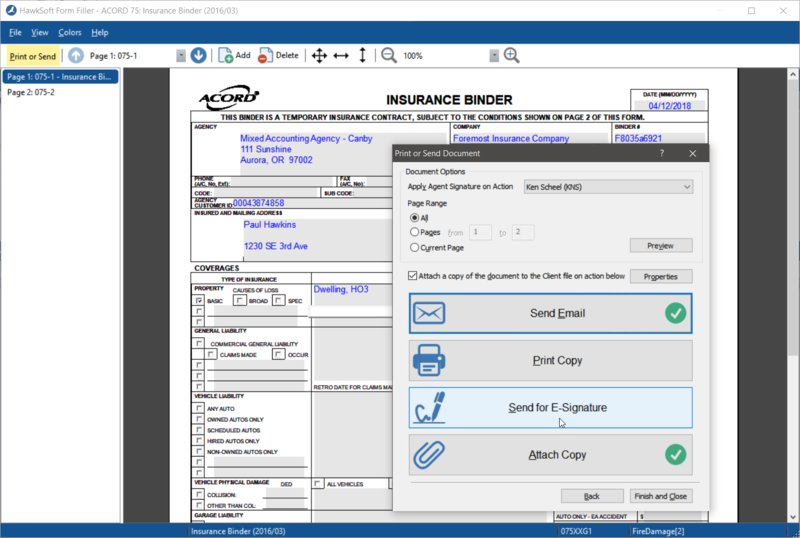 Virtual Printer is a proprietary PDF writer tool that captures any website image, screenshot, or document and attaches it directly into the policyholder’s file in HawkSoft. It does this all in one workflow. Assign a category to easily identify the type of attachment you are saving. Ask your staff: are you having to print, scan, and save PDFs of documents that you want to keep paperless? If the answer is yes, that’s not a 100% paperless workflow because you are still handling paper by printing and scanning! Easily email, print, attach, or send documents for e-Signature from one print dialogue screen. Agents can quickly email important carrier information to the Insured after they use Virtual Printer to save the information from the carrier website to the client file. 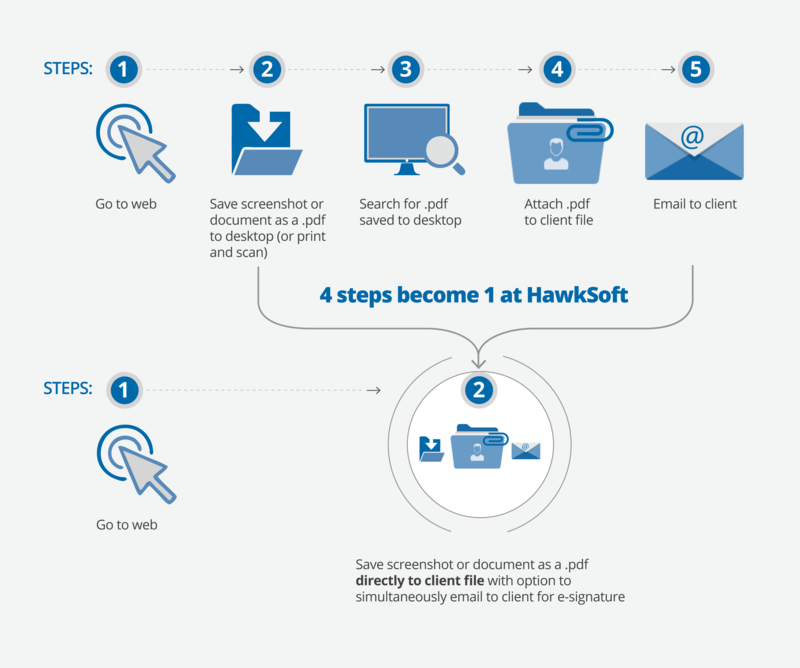 Save screenshots from a carrier’s website, merge documents from your computer, or capture virtually anything showing on your monitor and save to the policyholder’s file in HawkSoft. 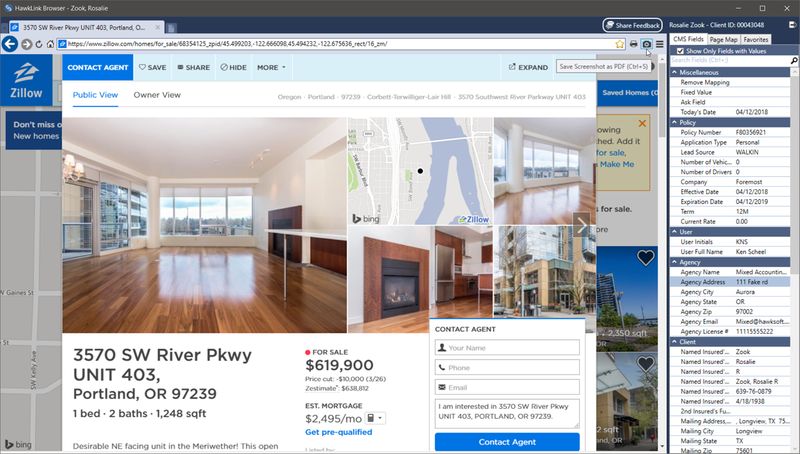 Easily visit any website, like Zillow, and capture information.